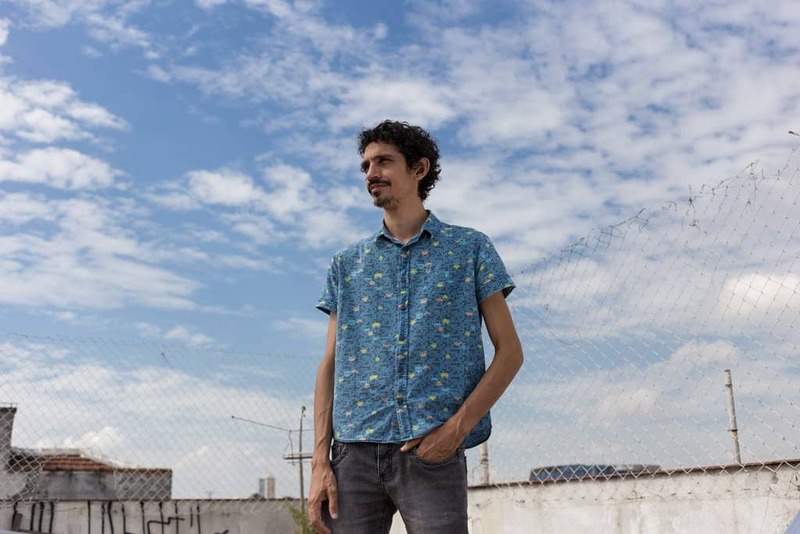 Mr. Markun, with a scruffy goatee and a penchant for colorful print shirts, is part of an unprecedented wave of new candidates running for office in Brazil at both the local and national level. These political novices — activists, economists, entrepreneurs, business executives and lawyers — have been jolted into action by an enormous bribery and corruption scandal that has engulfed all the country’s mainstream parties and taken down powerful politicians. President , Brazil’s conservative leader, has been charged in the yearslong corruption investigation known as Lava Jato, or Carwash, centered on money laundering at the state-controlled oil company, Petrobras. The former left-wing President began serving a 12-year prison sentence related to the case in April. More than half the country’s senators and one-third of the lawmakers in the lower House are being investigated for crimes. But the vast majority intend to run for re-election in October, when Brazil is also choosing its next president. According to polls, corruption is the top concern for voters ahead of the election, while confidence in traditional political parties is at an all-time low. Outsiders are hoping to seize on the discontented national mood to break into a political establishment that has long been closed to disruptive, new voices. Experts say it is unlikely there will be a big shift in the political landscape in October, but the new candidates could lay the groundwork for greater success in future elections. Another outsider candidate, Michelle Guimaraes, a former executive at Johnson & Johnson, said she was drawn to politics by the poor health services in her native state of Amazonas and the meager representation of women in elected office in Brazil. She may get a lift from a recent decision from the Supreme Electoral Court that ordered parties to devote at least 30 percent of public campaign funds and federally mandated airtime to female candidates. For Camila Godinho, an environmentalist and social worker from the northeastern state of Bahia, her decision to run for Congress was driven in part by a desire to expand voter choice beyond the traditional political families that have held office for generations. “We have to show the population that there are options,” Ms. Godinho said. For all their enthusiasm, these fresh faces — a few hundred are competing for seats in regional legislatures and the national Congress — are up against daunting obstacles in their run for office. Candidates may not run as independents under Brazil’s electoral rules, and the leaders of the dozens of parties that typically compete in Brazilian elections tend to champion loyalists over promising political novices when they allocate campaign resources. Incumbents have another key advantage. By law, candidates may only start campaigning in August. But those already holding elected positions use their official duties, and budgets, to reach out to voters well in advance. In response to the Carwash scandal, the Supreme Court banned corporate contributions to campaigns, and Congress subsequently approved a public campaign finance fund. But that money, along with highly coveted free television and radio advertising slots, is being allocated to parties proportionally, based on their current representation in Congress. That leaves small and less established parties, which are generally more welcoming of new candidates, at a significant disadvantage. Seeking to even the playing field, a handful of influential Brazilians have established nonpartisan initiatives to train new politicians ahead of the campaign period. RenovaBR, an organization with a $3 million budget funded by entrepreneurs, has provided stipends to 133 Brazilians from across the political spectrum who plan to run for Congress. The money covers living expenses while participants take intensive courses in electoral and Constitutional law, the legislative processes, and campaign finance and marketing. Many new candidates are also being aided by Agora, or Now, a group created in 2016 to get the general public more involved in policy issues like pension reform and crime reduction. The nonpartisan Agora is also encouraging a new generation to run for office, and it has reached an agreement with two small parties, the Popular Socialist Party and Rede, to provide a platform for unaffiliated candidates, but without any promise of financial or logistical support. The October elections are shaping up as the most unpredictable and splintered since the return of democracy in Brazil in the late 1980s. While the challenge in accessing public campaign funding and television time will make it hard on outsider congressional candidates, those making smart use of social media could do well in urban centers, especially among young voters, according to pollsters. Even if many of the new candidates fail to gain office, supporters of the push to infuse new blood into Brazilian politics say the effort in 2018 is only the start. With nearly 30 percent of Brazilians saying they will cast a blank ballot in October’s election, the time would seem ripe for political newcomers at the presidential level as well. But so far, no one has jumped in. Two potential contenders, Brazil’s first black Supreme Court justice, Joaquim Barbosa, and a television celebrity, Luciano Huck, both pulled out of the race before campaigning even started. The two factions that have disputed the presidential election for the last three decades, the leftist Workers’ Party and the more conservative Social Democracy Party, have both been crippled by the corruption scandal. That has left a far-right candidate, , a former Army captain accused of inciting racial hatred, as the candidate with the most support in polls. Yet, he also has one of the highest disapproval ratings among Brazilian politicians. According to Ms. Szabó, one of the biggest deterrents to outsiders competing for the presidency is the deal making traditionally employed by candidates to forge alliances among the big parties. Those arrangements have historically fueled Brazil’s culture of systemic corruption. “It wouldn’t be possible to compete for the presidency without being vulnerable to being co-opted,” Ms. Szabó said. Ordinary voters are starting to pay attention to those running without any ties to the politics of the past. Filipe Nogueira Consoline, 33, a music producer in São Paulo, says he is gravitating toward the new candidates.